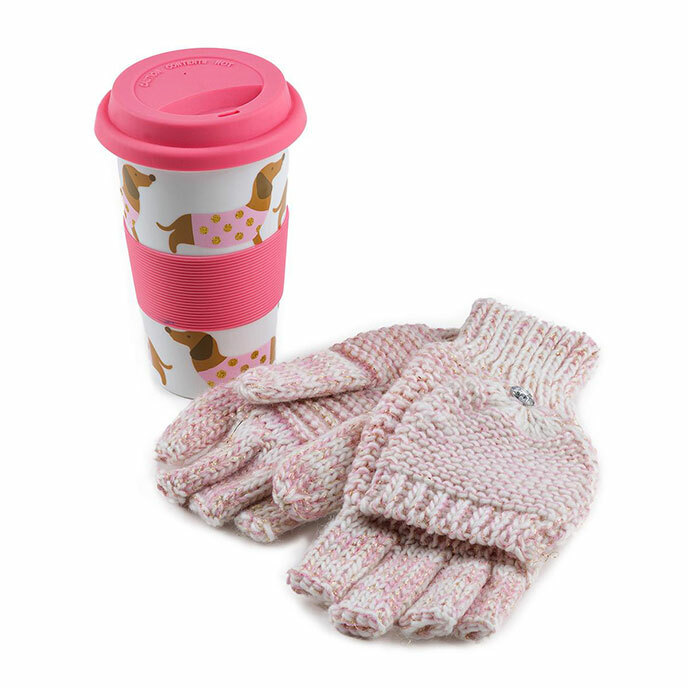 A great gift for the cold winter months; this set contains a ceramic travel mug with a silicone wrap and lid, as well as a pair of our sparkle knit mitten gloves to keep warm. Travel Mug - Not suitable for dishwasher or microwave. Wash before use with warm soapy water. Gloves - Machine washable at 30 degrees. Wash similar colours together.